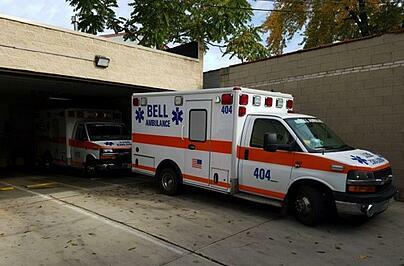 Bell Ambulance Company, based in Milwaukee, Wisconsin, has been in operation since 1977 and grown into the largest provider of ambulance services in the state. The company responds to around 75,000 calls per year and provides a range of services including, basic life support, advanced life support, critical care paramedics, long-distance ground transportation and more. To accommodate its vast fleet of ambulances, the company operates 9 remote stations throughout the greater Milwaukee area. Each of these stations is a hive of activity, with ambulances coming and going 24/7, responding to calls around the city. Given the geographical area Bell Ambulance serves, vehicles often return to a different station from where they were dispatched – making the tracking and managing of keys a major challenge. Another main issue for Bell Ambulance was accountability. Video surveillance and access control systems are installed at each of its stations, but some are located in high-crime areas of Milwaukee. So while the company had deployed a great deal of security measures externally, anyone who managed to breach that security would have free access to keys, which were stored on hooks out in the open. An additional concern was the fact that ambulance drivers based at these stations are always out on the road, leaving stations unoccupied most of the time. This further underscored the need for a way to distribute keys securely without having a person responsible for that task. The cost of lost keys had also become a pain point for Bell Ambulance. Whereas in the past, replacing a key may have been relatively inexpensive, the secure key fobs used with today’s newer ignition technologies are much more costly, around $300 each. In addition to this cost, when a key goes missing the ambulance’s ignition system must also be reprogrammed to prevent someone from starting and potentially stealing the vehicle. For any company that operates a large fleet of vehicles like Bell Ambulance, these costs can add up quickly. All of these factors created greater concern for key management, making it clear the company needed a better solution for securing keys at all of its locations. As Bell Ambulance worked with Hoffman Security Solutions to compare products from a number of manufacturers to find the best solution for their needs, finding exactly what the company was looking for proved to be a challenge. To Bell, it seemed that the perfect solution hadn’t yet been invented, which was indeed the case – sort of. Having established a strong relationship with Morse Watchmans, Nick Hoffman, co-owner of Hoffman Security Solutions, knew the company was developing a new solution that would be perfect for Bell Ambulance. Not surprisingly, flexibility was a key feature that made KeyWatcher Touch the right choice. Keys were rotating constantly throughout the system from location to location. Because the KeyAnywhere feature of KeyWatcher Touch addressed this, Hoffman knew he’d found exactly what Bell Ambulance needed. After an extensive and exhaustive process of qualifying KeyWatcher Touch, Bell Ambulance was so confident the solution was perfect for meeting their goals that they were willing to wait and pull the trigger once the solution hit the market. As a result, Bell ended up being one of the earliest adopters of KeyWatcher Touch. 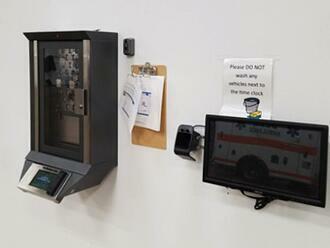 Bell Ambulance currently has nine KeyWatcher Touch stations installed, three of which were purchased in the last 12 months. “We really like the KeyAnywhere feature and the automatic reporting and transaction gathering functions. Not having to go out to each of the nine locations to collect reports and other information is a major benefit,” Becker said. Two of these latest cabinets are equipped with the new second-generation CPU, which will be slowly phased into the remaining seven cabinets moving forward. Hoffman recommended the upgrade based on the growing size of Bell Ambulance’s systems, particularly in its busy maintenance department. With all of the company’s ambulances going in and out of the shop for repairs, oil changes, new tires and other services in a relatively short time, the volume and speed of transactions was going beyond the capabilities of KeyWatcher Touch’s first-generation processor. “Now the system is lightning fast – about four or five times faster than before,” he said. Because the KeyWatcher Touch system is networked and sends data in real time, Bell Ambulance has been able to integrate it with additional networked systems for more complete reporting. Networking the systems this way also helps Bell Ambulance monitor the safe driving profile of each of their drivers. As each driver checks in and out, they place a road safety fob into a reader in the ambulance, which logs driving habits to ensure safety. The fobs are stored in the KeyWatcher cabinets along with keys, and the system is programmed to prevent a driver from clocking out until both are returned. “Bell Ambulance is at the cutting edge of fleet management. They’ve created a cool integration that ties their time and attendance system and road safety fobs into the key management system,” Hoffman said.